Now I totally love a Nando’s it’s by far my favourite take-away, gorgeous spicy chicken burgers topped with halloumi, pineapple and chilli jam… spicy peri peri chips and always, always a side of peas, I just love the peas. 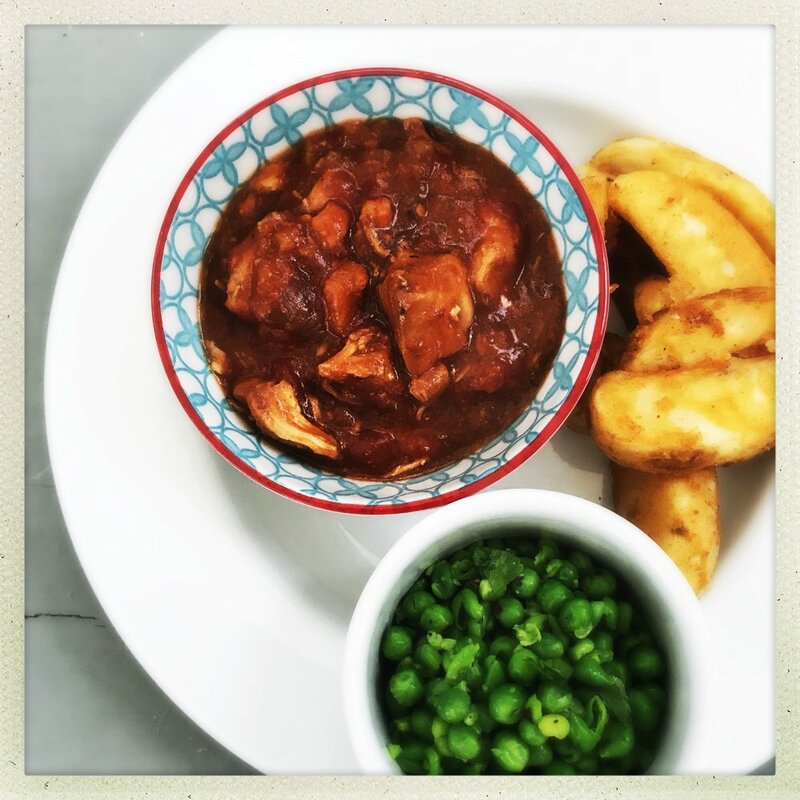 But as I can’t eat at Nando’s every night I’ve had to make up my version of Nando’s peas at home and they’re delicious, okay not quite a Nando’s pea BUT they’re a great substitute. Just the best way to serve peas! 3 cups of cooked peas. 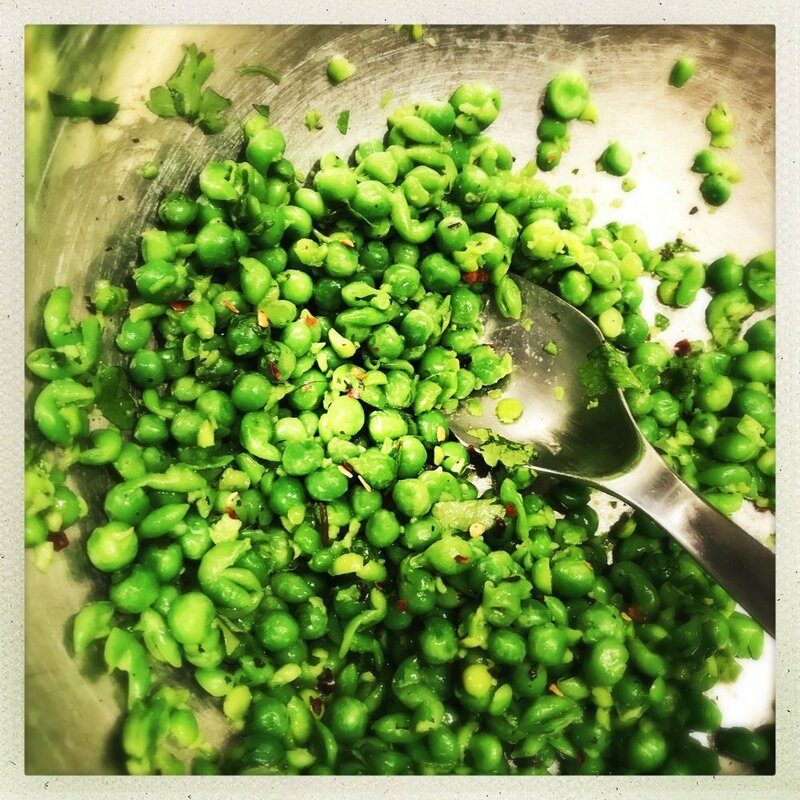 Remove half the peas, add a knob of butter and mash them with a potato masher. Mix all the peas back together. Add in the chilli, parsley and mint and season to taste with salt and black pepper. Stir everything to mix all the flavours. Serve alongside homemade burgers or grilled fish.